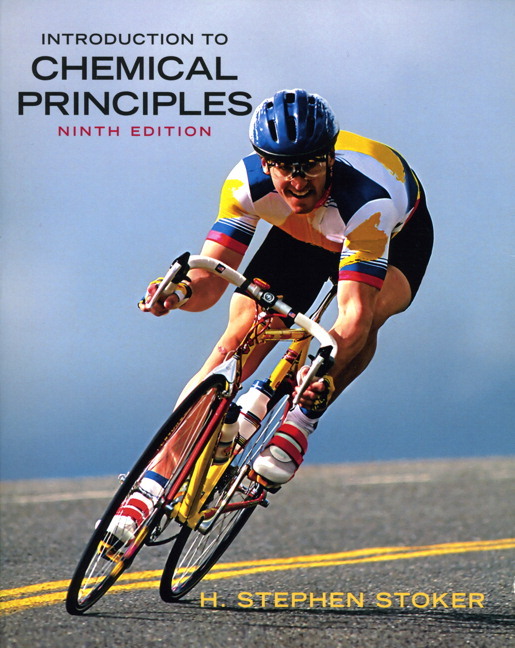 This solid, yet value-priced paperback gives students the background and confidence they need to succeed in chemistry. Stoker focuses on the most important topics—omitting organic and biochemistry chapters—and teaches the problem-solving skills students need. Each topic is developed at “ground level,” and continues step by step until the level of sophistication required for a further chemistry course is attained. • An emphasis on problem solving throughout uses dimensional analysis in problem-solving whenever possible. This equips students with a powerful and widely applicable tool that requires no mathematics beyond arithmetic and elementary algebra. • Worked examples with detailed commentary show students the proper way to mentally dissect and solve a problem. • Over 5,000 questions and problems give students more opportunities than any other text to become proficient problem-solvers. • Emphasis on significant figure concepts in all problem-solving situations provides two answers to the example: the calculator answer (which does not take into account significant digits), and the correct answer (which is the calculator answer adjusted to the correct number of significant figures). • Extensive margin notes provide additional details, links between concepts, or historical information about the concepts under discussion. They summarize key concepts and give students tips for remembering concepts or distinguishing between similar concepts. • Vignettes on “The Human Side of Chemistry” are brief biographies of scientists who helped develop the foundations of modern chemistry. • A Chemical Extension application adds perspective to worked-out examples that center on specific compounds. It focuses on the chemical compound itself, its relationship to the environment, its relationship to living systems (biochemistry), etc. This helps students become aware of the compound's “realness,” and not lose themselves in the mathematics of problem solving. • “Answer Double Check,” found at the end of two-thirds of the worked-out problems in the text, encourages students to consider if their answer in a problem is a "reasonable answer" in terms of numerical magnitude, number of significant figures present, sign convention (plus or minus) and direction of change (increase or decrease). • Multiple-Choice Practice Test questions in the end-of chapter reviews help students prepare for exams. • Practice Exercise Review questions are incorporated in the end of chapter summary. Similar to exercises found in the chapter, the end-of-chapter practice exercises measure the students’ comprehension and mastery of concepts in the chapter. • A completely new page design is found throughout the Tenth Edition. Many of the line drawings also have a new look. • More in-text worked-out examples have been added for a total of approximately 240. Accompanied by extensive commentary, these problems–which are worked out in detail–are one of the greatest strengths of this text. • End-of-Chapter Problem Sets are extensively revised; approximately 35% have been replaced with new problems. –A special effort was made to create new problems that address specifically the “core concepts” associated with a given chapter section’s subject matter. –Many of the “visual problems” involve situations where reasoning, with little or no calculation, is needed to test a student’s grasp of a key concept. • The Multiple-Choice Practice Test feature is expanded , to help students whose examinations involve multiple-choice questions. Each test now contains 20 questions rather than the previous 12 questions. 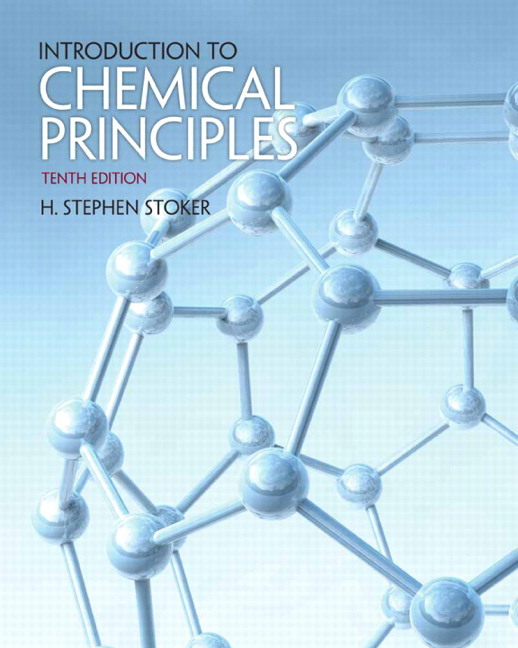 • Chapter 4: Material concerning atoms, molecules, and chemical formulas, which previously was the starting material for Chapter 5, has been moved to the end of Chapter 4. This transferred material is a logical extension of the material already present in Chapter 4 on the classifications of matter (mixtures, pure substances, elements, and compounds). • Chapter 5: The previously mentioned shift of some Chapter 5 material to Chapter 4 allows for the inclusion into Chapter 5 of material concerning nuclear stability and instability (radioactivity). This material, which was previously in a separate chapter on radioactivity, is now discussed immediately after the discussion about an atom having a nucleus. • Chapter 11 : A new section has been added on hydrogen bonding and how the properties of water relate to this concept. This new section replaces a deleted section that dealt with types of solids. • Chapter 12: Within this chapter, the order in which the various gas laws are introduced has been altered. All discussion of STP conditions is now presented in a section entitled “molar volume.” Discussion of gas laws as they apply to chemical reactions now occurs after all of the fundamentalgas laws have been presented. Chapter 15 where it is discussed in conjunction with considerations of electrolytes and stoichiometric calculations involving ions. Both of these latter topics are new additions to Chapter 15. NOTE: Each chapter concludes with a Summary, Key Terms, Practice Problems, and Multiple-Choice Practice Test. Stephen Stoker of Weber State University in Ogden, UT, has taught the gamut of introductory chemistry courses, specializing in GOB, for the past 30 years. Weber State has a very large Health Professions school, and GOB is geared at students with little or no experience in chemistry (notably Allied Health and Nursing majors).